Ahhh , possibly one of the most heatedly debated household subjects in the land. It has ended friendships, it has caused the disruption of marital bliss, and has brought mayhem and chaos to bathrooms everywhere!!! Which way to hang the toilet paper!?! It seems like such a trivial thing, but people have very vocal and steadfast opinions on the matter. The general consensus of experts and “The Internet” does seem to support Team “Over”. Hotels always hang their toilet paper that way, and the pattern on those fancy rolls of toilet paper is meant to be seen from the “over” perspective. You can also do that nifty fold thing with the end, because, you know, we have time for that sort of thing. Now me, I am a Team “Under” sort of person. I have cats and it keeps them from being able to unravel the entire roll for today’s “cat treadmill” work out. 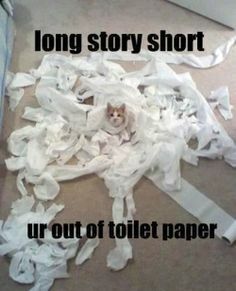 I also think it easier to find the end of the roll that way. In my house however , my partner is a staunch Team Over member and in order to keep the peace, we hang it her way. She just gets to clean up the mess after the cats use their treadmill (wink). 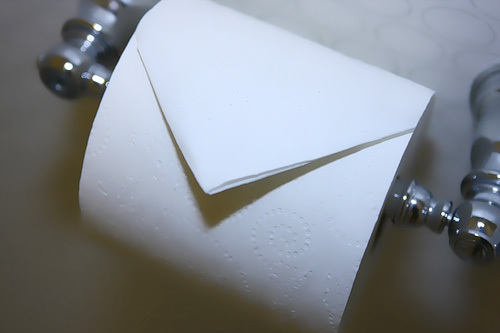 Regardless of your stand on over or under, we at ReStockIt know that toilet paper and bathroom supplies are essential. We have deals on everything you need to stock your bathroom and keep it clean. Are you an “over” or an “under”?